I wrote on the subject of Internet “bait & switch” almost 3 years ago, but the problem is actually getting worse as dealers try their best to undercut each other’s prices. Perhaps most concerning is people believing the prices they see online are credible and the gospel. Since a car dealer ever ran the first newspaper ad, there have been bait and switch tactics going on. Not all car dealers do this, but a good percentage of them do. By definition, a bait and switch are when a dealer publicly prices a car with no intention of selling it for that price. As newspaper advertising has been on the decline for car dealers, many are turning to the Internet to continue to mislead people. The most common bait and switch involve pricing cars way below their cost. The dealer designates one particular stock number or VIN at that price, and once the vehicle is sold – whether at that price or not – none of the other vehicles on the lot can be purchased for that price. The salespeople at places like this are trained to waltz you around the lot, finally declaring that the advertised vehicle “must have been sold already” and then finding a similar one, vowing to “get as close to that ad price as possible”. Let the games begin. 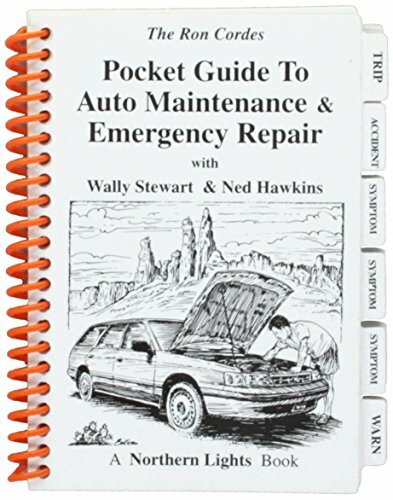 Recently, a dealer affiliate of the radio show alerted me to the newest trend online. One of his Houston Chevy competitors was advertising prices with every factory rebate available, even private offers that most people cannot qualify for. These days, many automakers offer extra rebates for our military people for instance. This dealer was using GM private mail offers ($2000 in some cases), military discounts, and other offers like an extra rebate for credit union members. Over 99% of the people who walk into the dealership will not qualify for all or perhaps any of those rebates. Worse, this particular dealer doesn’t spring this news on you until you have gone through the entire process of buying a car. While in the finance office, some hours later, you get the bad news. Sadly, too many people are worn out and they just wave the white flag. Another successful bait and switch and another bad dealer rewarded for unethical behavior. 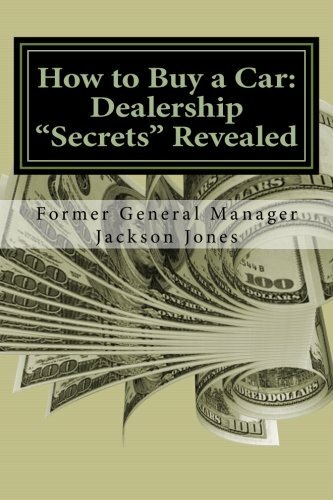 How to Buy a Car: Deal... Jackson Jones Best Price: $9.15 Buy New $8.99 (as of 05:55 EDT - Details) You will see what appears to be a great price and the words “any and all rebates applied”. Major red flag there. A good dealer will break out how they arrived at the price advertised. For instance, MSRP $30,988 minus $3000 factory rebate, minus $2500 dealer discount-Sale Price $25,488. Then you might see $24,488 with Ford Credit financing. That is the right way to do it. One dealer, I ran across was pricing cars online and buried in the website, on a different page were the words “all prices plus freight charges”. REALLY? I have seen some shady stuff over the years, but this was really bad. Freight charges are built into the dealers’ cost. In another instance, a dealer quotes a low-ball price and you see: price does not include dealer-installed options. That means they can charge you thousands of dollars over their Internet price for floor mats, window tinting, and wheel locks that cost the dealership about $200. Here is the sad thing… many times people see these fraudulent prices online and take them to a good, honest dealership who tries to explain why they cannot match the price. Of course, the good dealer looks like a bad guy and probably misses out on a sale, while the consumer falls for the bait and switch at a different dealership.